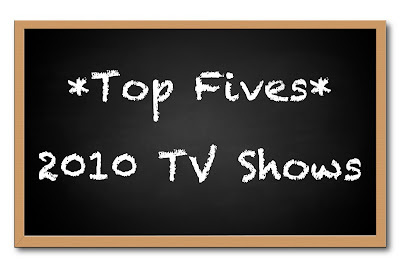 Top Fives: Television – my books. my life. Today’s Top Fives are not shows that are new this year but just shows that are currently on the air. And they may not be the BEST television but they are my favorites. I actually think I did a pretty good job of not looking like a teenage girl here. I can’t help it. 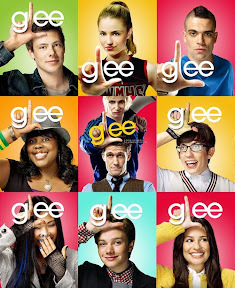 I love Glee. The stories aren’t wonderful, the characters are inconsistent, but the music is just fantastic (same goes for Sue’s insults and Britney’s random comments). I started watching from the beginning and I must admit that I’m a little embarrassed when I think of how much money I’ve spent on the music (I still think Glee is an iTunes conspiracy). And this year we’ve started a nice tradition of watching it with another couple. We take turns cooking and make an evening of it. I hope Glee continues to be this entertaining for a long time. Ok, so maybe this is where I do look a little like a teenage girl. But have you seen Vampire Diaries? It’s actually a very good show. It’s fast-paced, the stories are constantly moving forward and staying fresh, and the Salvatore brothers are just so dreamy (I would leave my husband for Damon). I read some of the books and I was not a big fan, but the television version is simply addictive. 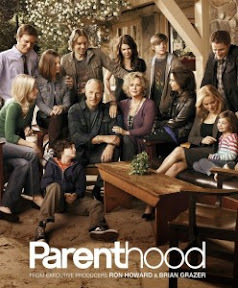 I started watching Parenthood because of a few of the cast members (Lauren Graham from Gilmore Girls, Peter Krause from Sports Night) but I stayed because the entire show is enjoyable. It’s a drama about an extended family and it just seems real (for the most part). They don’t have car accidents and drug overdoses and all of those other things television uses to make a show dramatic. It’s much more subtle but it’s also that much better for it. 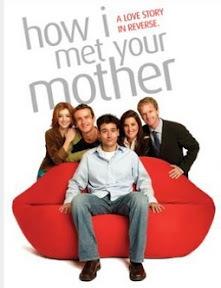 Ben and I started watching How I Met Your Mother this summer. After years of hearing how funny it was, we finally watched the pilot. And we were hooked from the beginning. We probably watched the first 5 seasons in less than two months. And now we’re all caught up and watching the current one. I love Barney. He makes the show. But what really drew me in was the same thing that drew me to Friends – it’s just fun to follow a group of friends like that. It always makes me wish I had a bar or coffee shop that I met people at every day (does this happen in real life?). Bones is another show that I only started watching this year. The first 4 seasons are on Netflix Watch Instantly and I flew through them when Ben was away at school. I am all caught up on this one now and I’m watching the current season. It’s so quirky that it makes a genre that I don’t usually watch interesting. And again, I’ve had a crush on David Boreanez since Season 1 of Buffy so that doesn’t hurt. Sidenote: Did anyone else sob at the last end of the most recent episode? I completely lost it. What is your favorite television show? Any shows that you wish you want to start watching in 2011? I cried at the end of that Bones episode too. So sad. It’s a great show. I wanted to watch Parenthood simply because Lauren Graham is in it so I’m glad to hear it’s enjoyable, looking forward to that now! I think you’ll like it, Maria. Glee and How I Met Your Mother are my favorites too! Parenthood is a favorite of mine. Love the great cast. And who knew I’d ever like Dax Shephard?! I really like Bones to but I am behind on it. Partly because I really didn’t like what happened to Zack Addy’s character. He was one of my favorites of course now I don’t know if anything has happened with him. Also I LOVE Vampire Diaries and Glee! I was a little late to the Glee party, but I love it now. I got the first season on DVD for Christmas, so I can catch up on what I missed! Interesting choices! I really need to start watching Glee (but I have to suffer the ridiculous program of German television). I’m a HIMYM fan as well 🙂 Happy new year! Wonderful list, Michelle! I love ‘Glee’ and ‘How I met your mother’! They are wonderful!